In this respect, SA falls in line with a world wide trend: the discernible flexing of muscle by tax administrations in a bid to generate extra revenue. For many countries this is a knock- on effect of the global financial crisis; for many African countries, enhancing domestic revenues is also crucial to reducing dependence on foreign assistance.Whatever the local imperative, the environment has never been riper for tax controversy in developed and emerging markets.The worry for companies is that aggressive clampdowns by a country’s revenue authority can lead to prolonged, burdensome wrangles that can ultimately render it inefficient for firms to continue doing business there .But an important policy shift is taking place, of which business, especially multinationals, should take heed: not only are tax administrations becoming more aggressive, they are becoming more effective. It emerges from a recent global survey by Ernst & Young that taxpayer data is being shared by tax administrations as never before , while multilateral tax enforcement efforts are growing.The Joint International Tax Shelter Information Centre is an example of this collective approach, as is the recent signing by SA and 12 other countries of the convention on mutual administrative assistance in tax matters.But perhaps the most chilling manifestation of this increased co-operation between tax administrations is the dawn of the joint audit investigation, which is a simultaneous examination of a multinational by the tax authorities in a number of jurisdictions .In the face of this phalanx of revenue scrutiny, it is perhaps of some comfort to be aware that tax administrations recognise that to be effective they need to co-operate with taxpayers and engage with them in dialogue.As the chairman of the African Tax Administration Forum Ataf, Oupa Magashula, said recently: “Experience has proven that there are distinct and tangible benefits for both revenue and business, as well as their advisers, to engage in more consultative and collaborative relationships.” While at present Ataf has no formal procedure to facilitate engagement with investors, Magashula has said he would welcome suggestions from business on a possible African engagement strategy.However, Ataf has also been vocal about the need to bed down measures to stem tax avoidance and evasion in the region, saying developing countries lose revenue through the siphoning of money to tax havens.The recognition by tax authorities that dialogue with taxpayers is integral to effective tax collection is encouraging. But for it to be meaningful, authorities should resist the temptation to paint all multinationals with the same brush. Just as emerging markets can differ considerably from one another and should not be regarded by investors as homogeneous, so it must be recognised that multinational companies often differ markedly from one another in approach, behaviour, policy and their philosophy on tax matters.Realistic communication between tax authorities and taxpayers should engender a more holistic appreciation of what multinationals are doing and lead to a less confrontational position being taken by all sides.In the meantime, routine information sharing between tax authorities, together with more sophisticated risk assessment and audit methodologies, mean that tax risk management needs to be securely embedded in companies’ approach to corporate governance . via On my mind – Tax laws-Tax muscle-flexing. THE new Companies Act along with the International Financial Reporting Standard (IFRS) for small-and medium-sized enterprises (SMEs) can help reduce audit costs and simplify financial statements, according to Deloitte. “To a degree an audit is no longer a grudge purchase,” Deloitte said in a statement yesterday. The IFRS for SMEs became the first set of international accounting requirements prepared specifically for SMEs in 2009. It was devised in response to demands by users of international accounting standards for a less onerous financial reporting framework for SMEs. 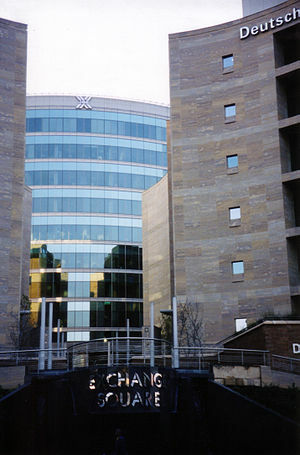 After the global transition to the IFRS, issued by the International Accounting Standards Board, all JSE–listed companies were required to report under IFRS to ensure firms globally made the same levels of disclosures and used the same conceptual approach when reflecting their financial results. These requirements are however not mandatory for unlisted subsidiary companies of listed entities, which may elect to use the IFRS for SMEs. This could cause some difficulties with the group consolidation process, but suitably designed year- end group reporting packs can be used to overcome this. The South African Institute of Chartered Accountants has said the IFRS for SMEs is suitable for all entities that prepare general purpose financial statements (not tailored to the needs of any one group). The new Companies Act, which came into effect in May, has also introduced more flexibility in the audit requirements for companies. Whereas all public companies and parastatals will be required to conduct audits as was the case under the previous Companies Act, there are more accommodating requirements for a large proportion of private companies. These depend on their level of turnover, debt and number of employees. These factors determine the entity’s public-interest score which in turn determines whether the company’s financial statements must be reviewed or audited. In certain limited circumstances, the new Companies Act requires neither an audit nor a review to be performed.